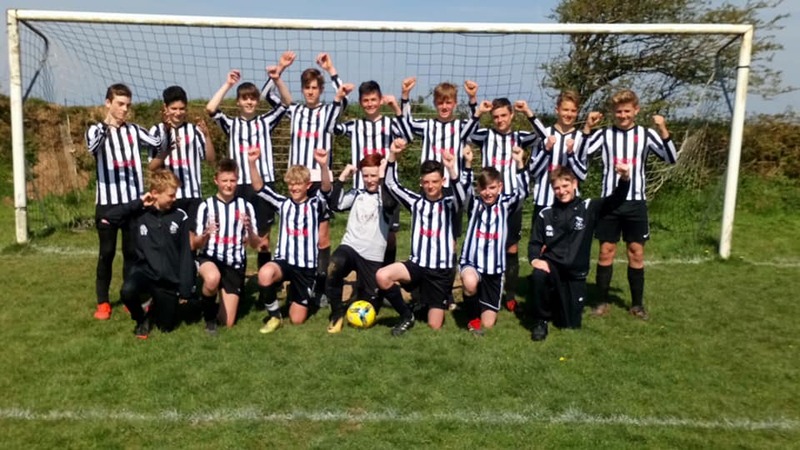 Massive well done St Agnes AFC Under 14's winning their KYFL League today. Well done and thank you to their coaches, managers, parents, sponsors and all the volunteers who help make football happen week in and out! 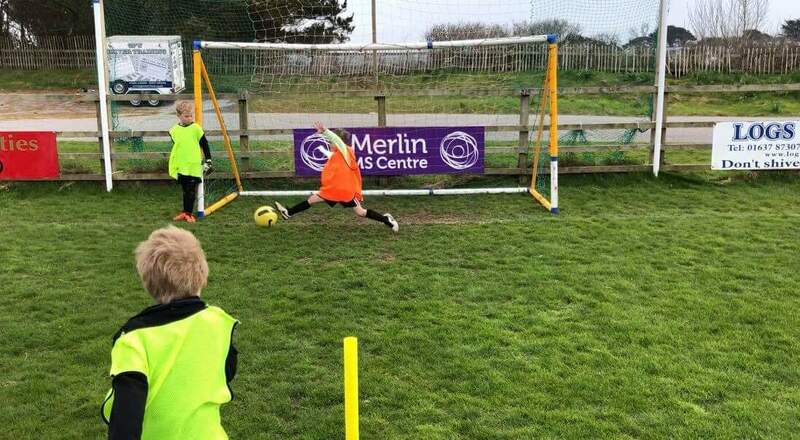 Over 70 children attended the St Agnes AFC Easter Holiday Coaching Days enjoying great value days with themed events around Super Heroes and Everything Easter! 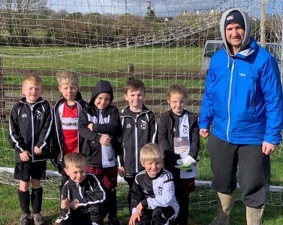 Held at Enys Parc the days form part of the St Agnes AFC plan to provide community coaching with proceeds supporting football within the club. 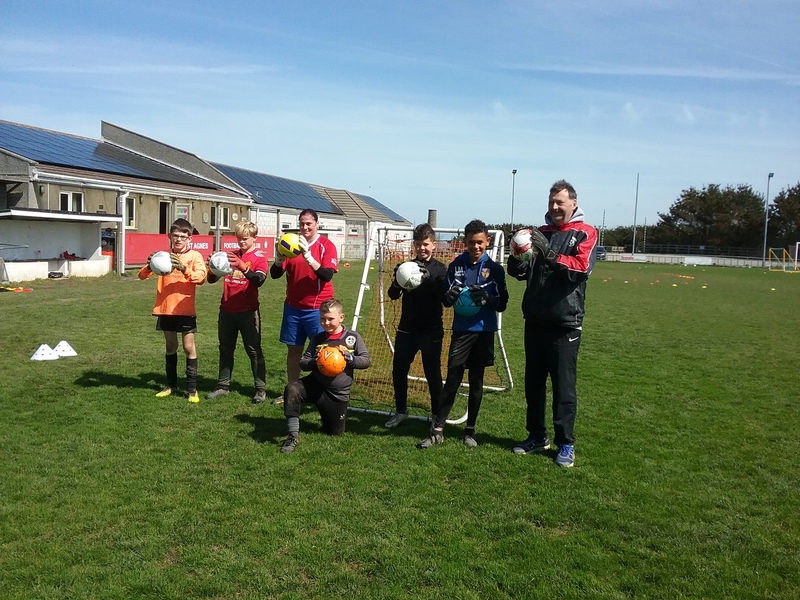 With successful Holiday Coaching Days already running at St Agnes AFC this Easter Holiday a small number of goalkeepers were invited to join a trial 'keepers morning. 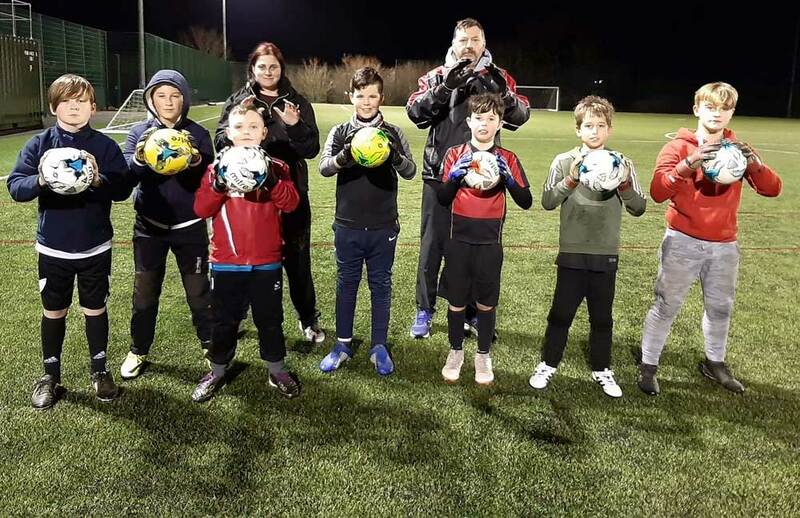 Hosted by Level 2 Goalkeeping Coach Martyn Kimmins the morning was a great success and further bookable Goalkeeper Coaching Sessions will be run as part of the club's next St Agnes AFC Holiday Coaching Days. 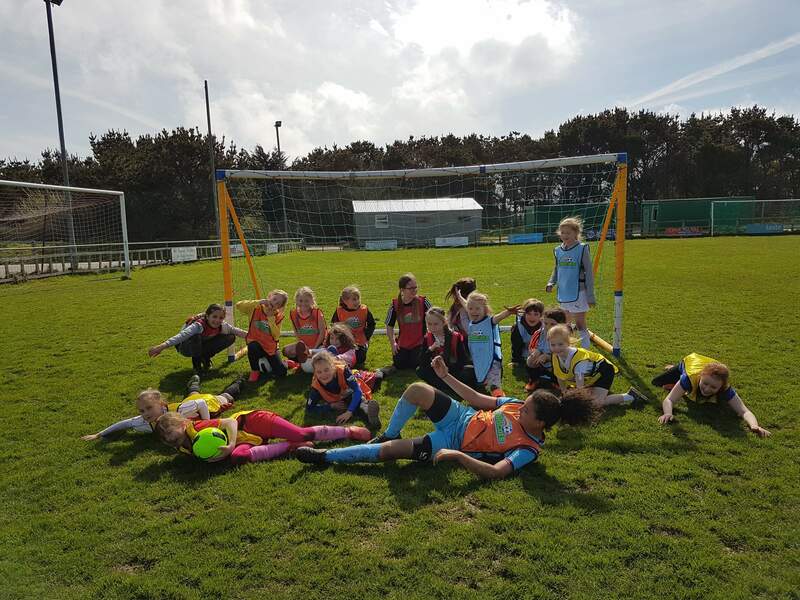 St Agnes AFC hosted a free holiday coaching morning for girls aged 5-11years during the Easter break as part of the club's Wildcats programme. A fantastic morning with an awesome group of girls attending! With the club already running a Friday evening Wildcats session (next event 26th April 6-7pm) the Easter holiday morning helped form the launch to the new St Agnes AFC SSE Wildcats Saturday morning sessions. 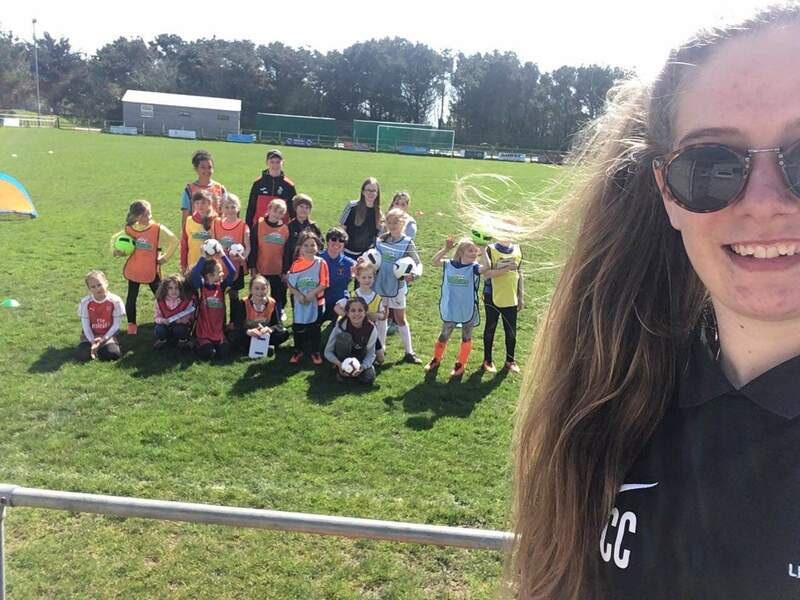 These will be held at Truro College astro pitch 10-11am and all girls aged 5-11years are welcome to come along to one or both sessions with the first 3 sessions free. 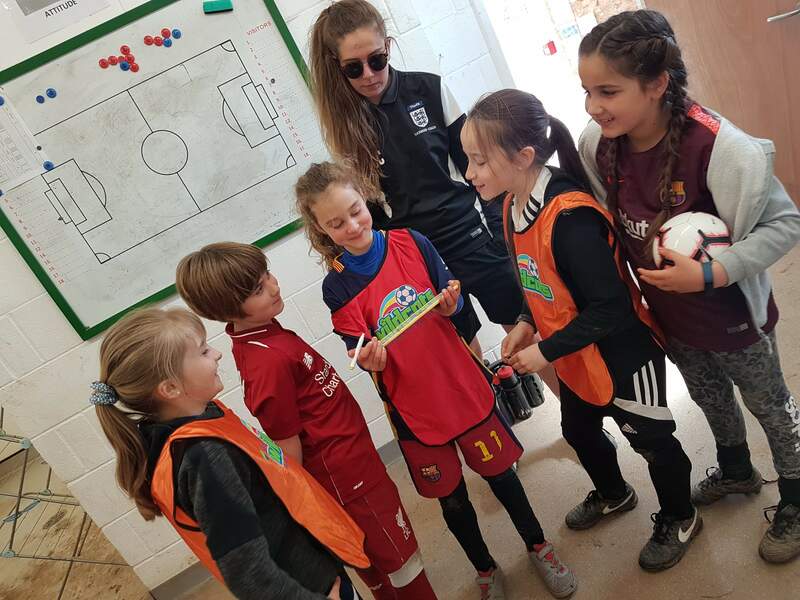 SSE Wildcats is the FA's initiative to inspire the next generation of female players in a safe, inclusive, enjoyable environment giving them the opportunity to have fun, learn, succeed and enjoy the experience! All girls are very welcome to come along, bring a friend and for more details contact Mandy Kimmins 07974 370666 or email bolsterpaper@gmail.com. St Agnes AFC SSE Wildcats Saturday Session launches on 27th April 10-11am all girls 5-11years welcome. These girls can - these girls are Wildcats. 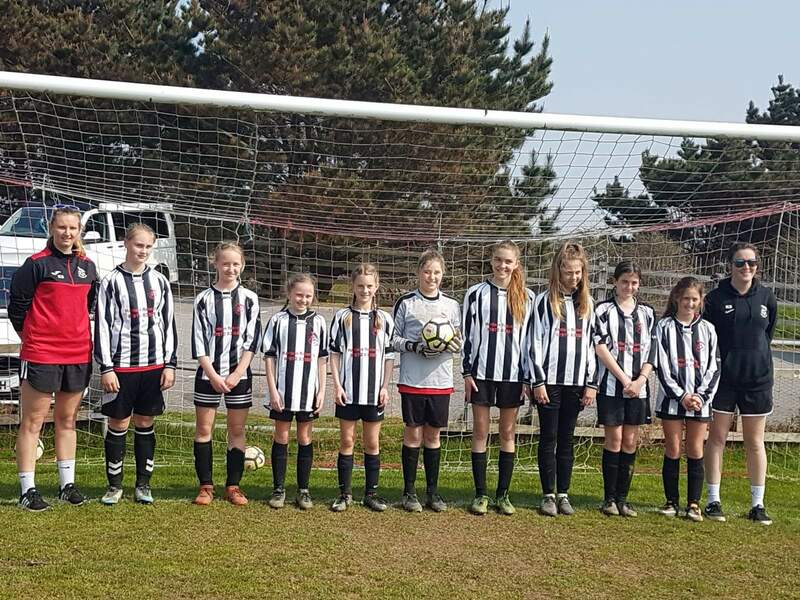 Well done to St Agnes AFC Dynamos Girls Under 13's Silvers on another brilliant performance and a well deserved 2-1 win result this weekend! Well done all of you but special mention to Molly who was the oppositions player of the match and Josie “magic knees” who got coaches player! Well done girls! 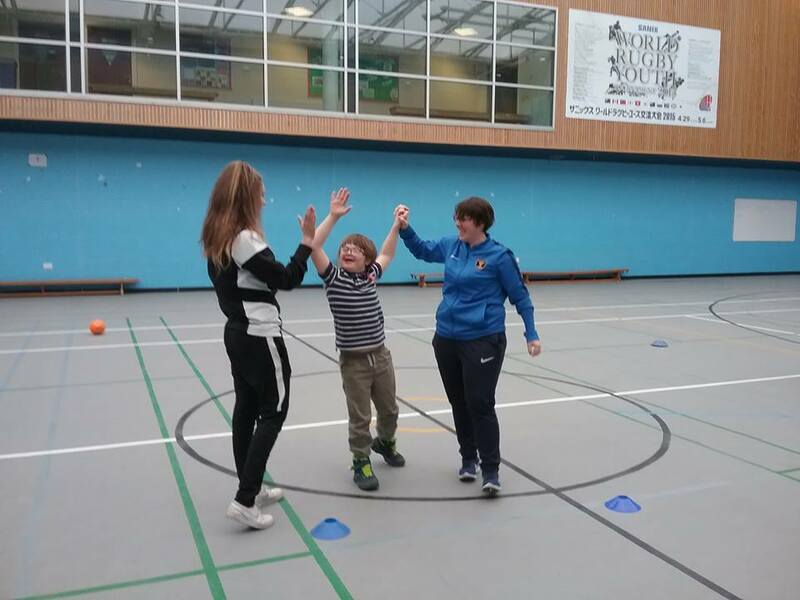 There were footballs, high fives and smiles everywhere this weekend at the first St Agnes AFC monthly DisAbility Youth session! 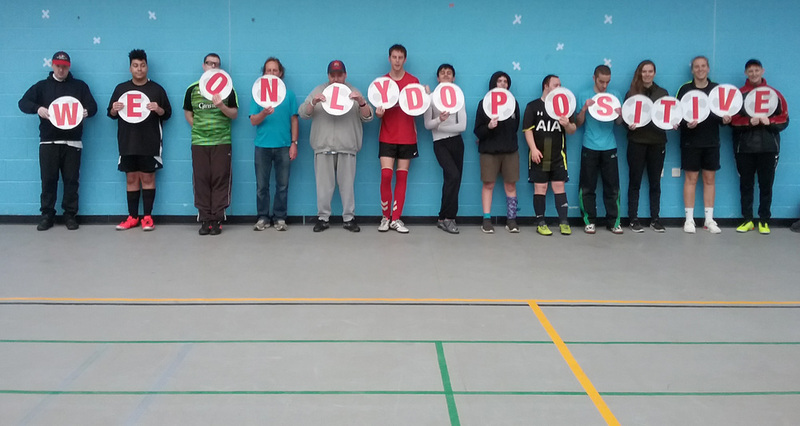 As part of the St Agnes AFC commitment and mission to provide inclusive football for everyone the next free monthly session will be on Saturday 4th May 10-11am for further details please email Mandy Kimmins bolsterpaper@gmail.com or call 07974 370666. All boys and girls aged 5-16 welcome to join in. Please share and bring a friend! 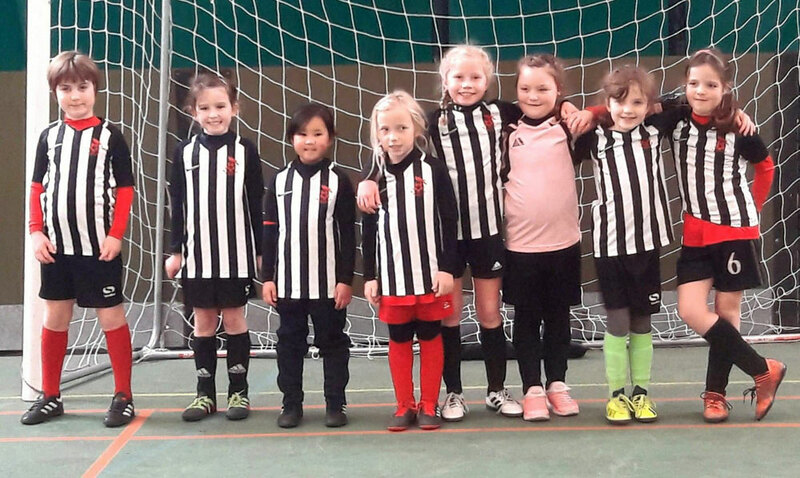 Such an exciting morning this weekend as our next age group of girls the under 9s hosted ther first CGFL u9's West cluster event fielding 2 St Agnes teams and entertaining teams from Newquay and Culdrose in a 4 way round robin of friendly fixtures. Fabulously entertaining football with players from all teams growing in confidence as each match went on! 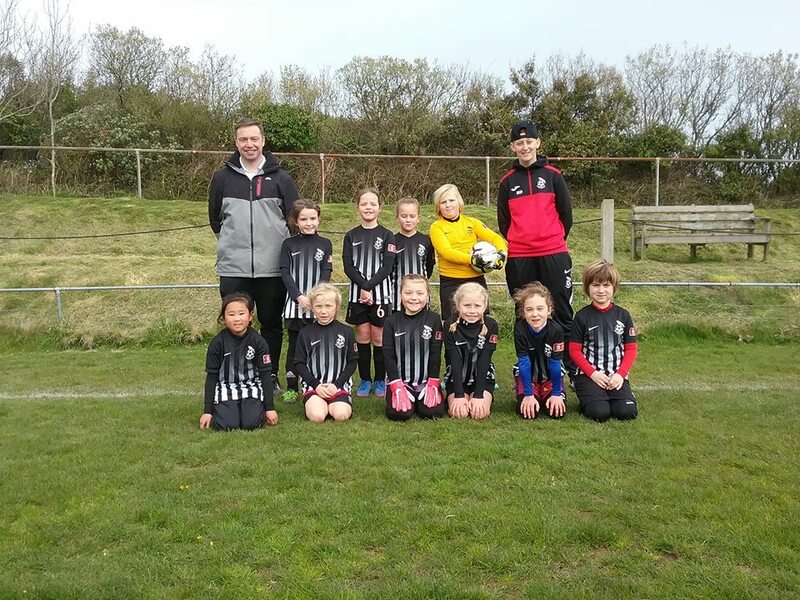 Thank you to our visiting teams, coaches, volunteers and everyone supporting the development of this next age group of St Agnes AFC Dynamos under 9 Girls! 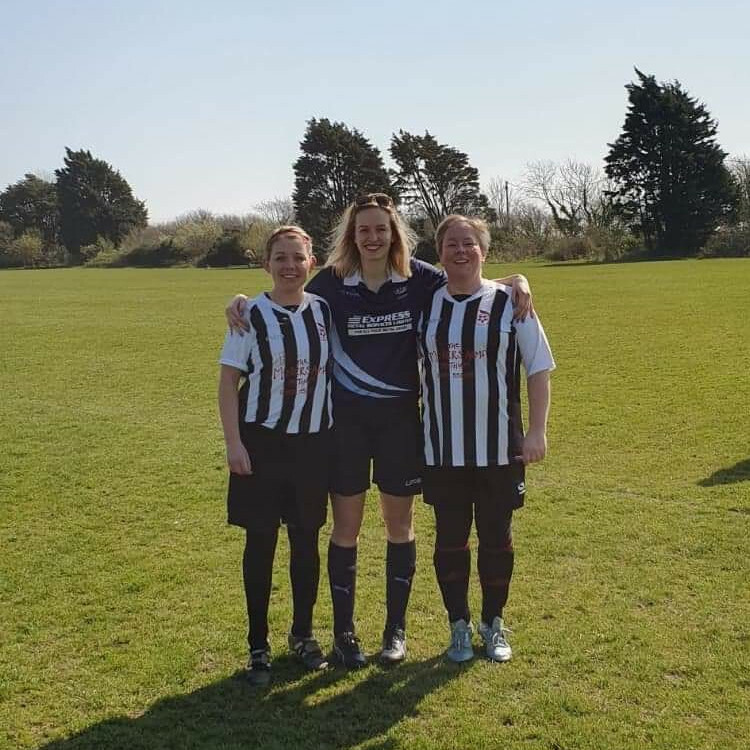 At St Agnes AFC we are always proud of all our female footballers but particularly proud of these 3 right now! 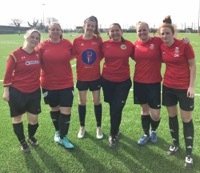 Lisa,​​ Megan ​​& Stacey​​ who took part in the UPLFC Alumini charity fixture this weekend which has raised over £4000 for the wonderful Teenage Cancer Trust in memory of their friend and team mate Rocko. Rocko was supported by the charity and sadly lost her young life through cancer. A tremendous effort from all the players who took part and everyone who supported and made it happen! 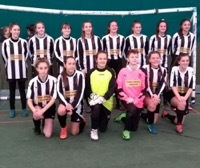 This weekend saw St Agnes AFC Dynamos Girls u15's and 13's Silvers in County Cup action. 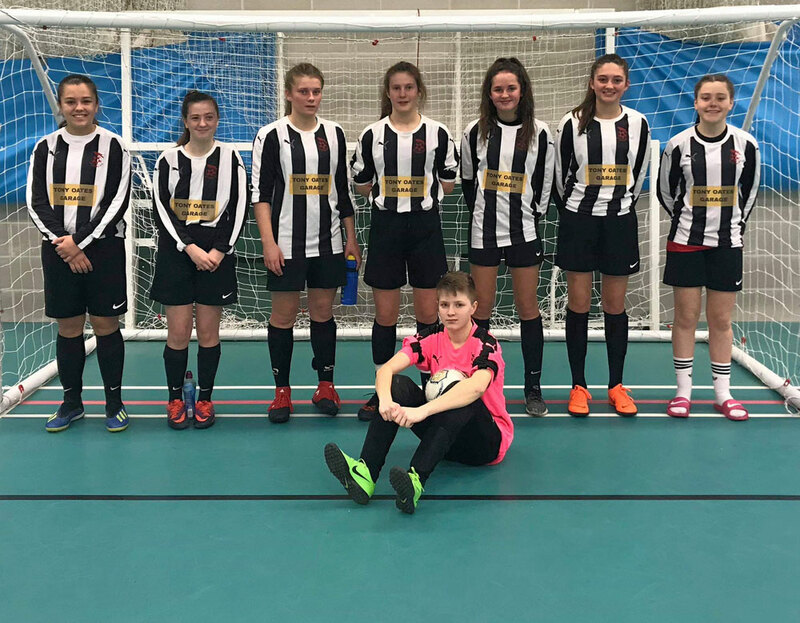 The 15's travelled away to Bodmin playing a competitive and spirited fixture with Bodmin progressing to the Final 2-1 and we wish them good luck. Our 13's Silvers hosted a determined Callington at Enys Parc and progress to the Final against Launceston. 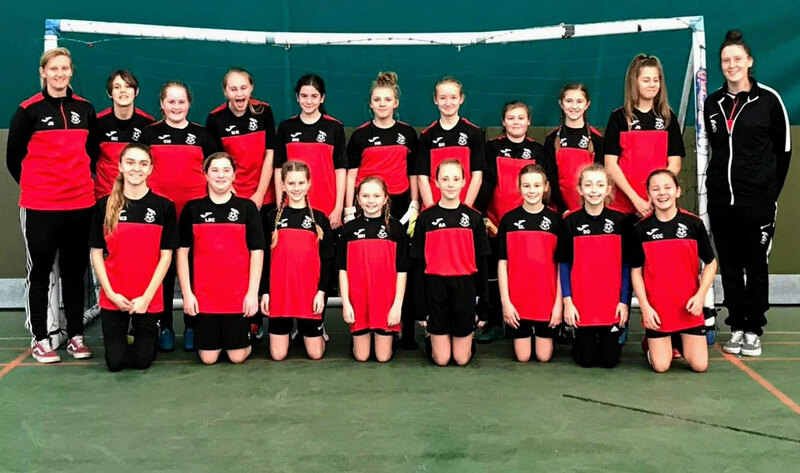 Well done to to all girls who took part in the County Cup matches this weekend and thank you to all the parents, coaches and volunteers you are all amazing! 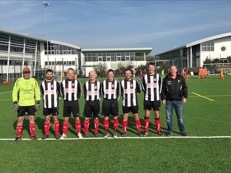 So proud of our St Agnes AFC Walking Football Boys who missed out on the Final of the FA People's Cup Cornwall on goal difference only losing 1 match and coming 4th overall out of 9 teams! Proudly wearing the Merlin MS Centre logo and sharing our club support of a great charity. The team are training on Tuesday night's at Enys Parc 6.30pm - 7.30pm new players welcome £2. 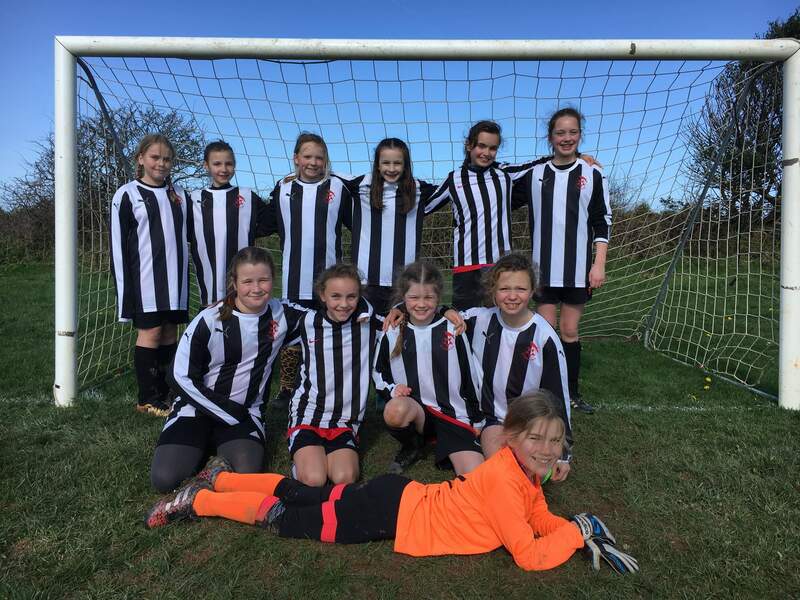 St Agnes AFC Dynamos Girls under 11's enjoyed playing some great football in their first home fixture of the CGFL Spring League! Well done all of you and thank you to all the coaches, volunteers and parents supporting every week! 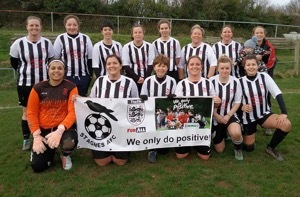 Another positive Soccer Sunday for both St Agnes AFC Ladies teams this week! 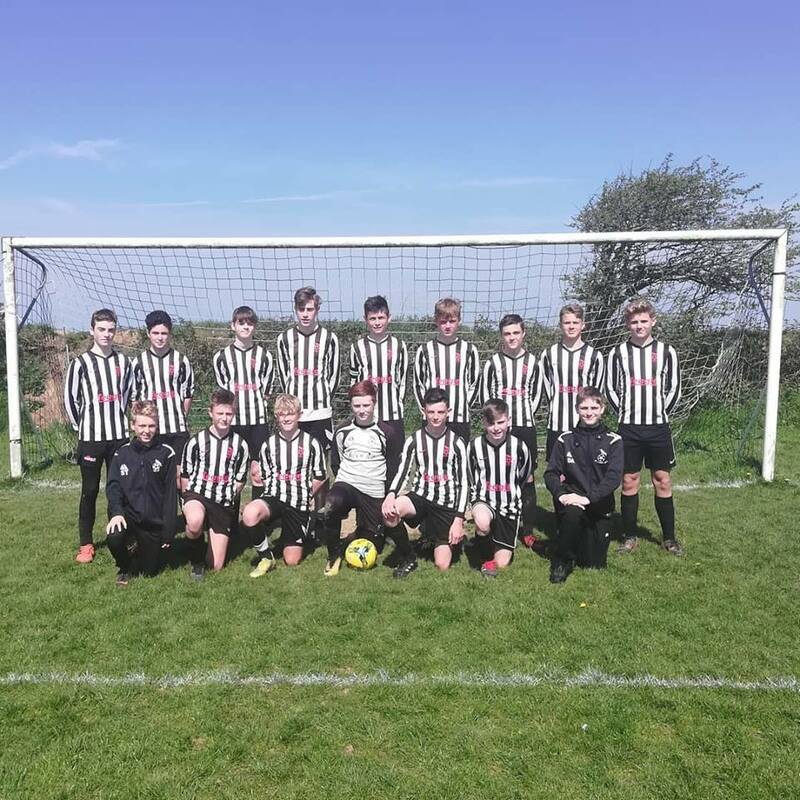 The 1st team hosted Plymouth Argyle Reserves at Enys Parc and fully deserved their 2-2 draw. A really positive result against this season's SWWFL (W) League Champions which demonstrated how far the St Agnes squad has progressed! Debbie Duncan on target for both St Agnes Goals. 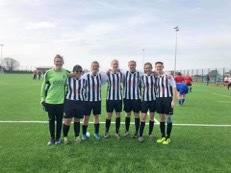 Having qualified for the second year running to represent Cornwall in the Regional round of the FA People's Cup St Agnes AFC Dis-ability Championship team headed off for the 300 mile round trip to Strode College in Somerset at the weekend! The team played some inspiring football winning their first match, scoring goals, penalties and enjoying the whole positive experience! Goal of the event went to Matt scoring his first since stepping up from League football to play in the Championship team! Coming runner's up on the day the team didn't qualify for the final round of the competition but hope next year (all being well if they qualify from Cornwall of course) might be their 3rd time lucky! 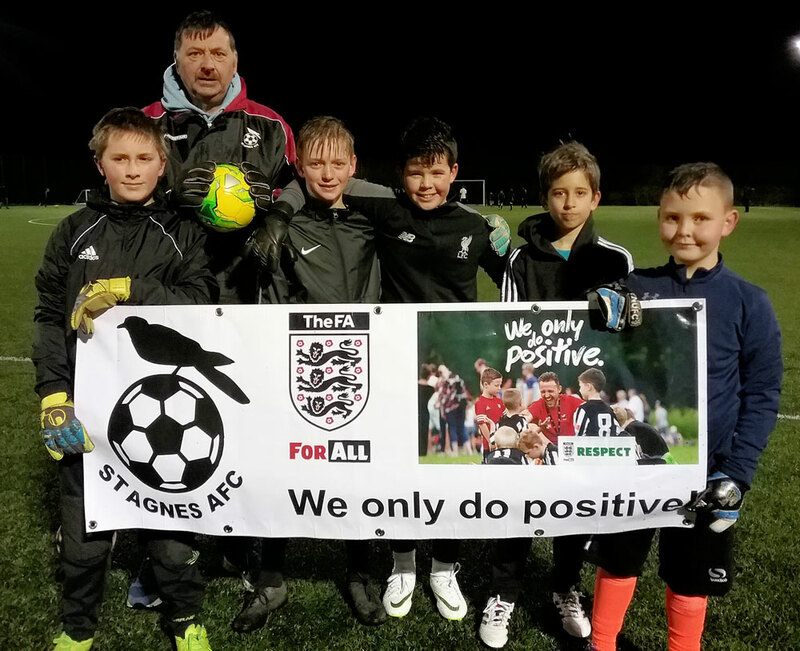 Everyone at St Agnes AFC is so very proud of their achievements and a massive thank you to everyone who has supported, coached and sponsored St Agnes AFC Dis-ability Squad making it all possible! 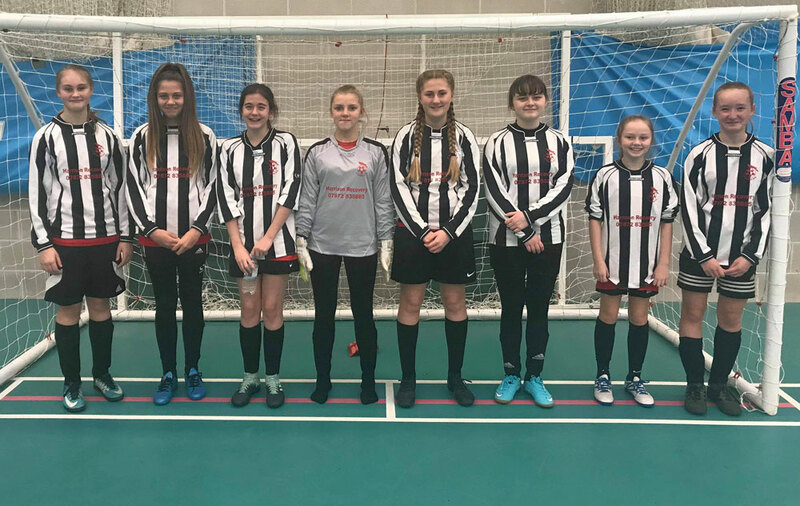 Well done to St Agnes AFC Dynamos Girls under 13's Silvers and Whites who played each other in their CGFL Spring League in house fixture. 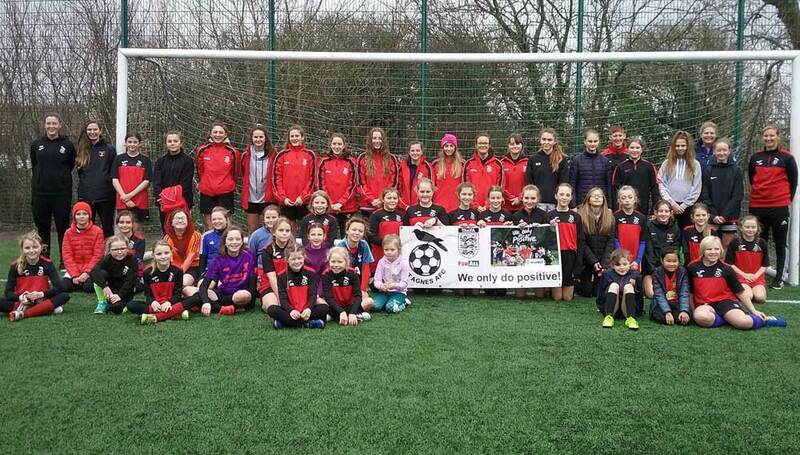 A positive fixture and a massive thank you to all parents, coaches and volunteers supporting these awesome girls! 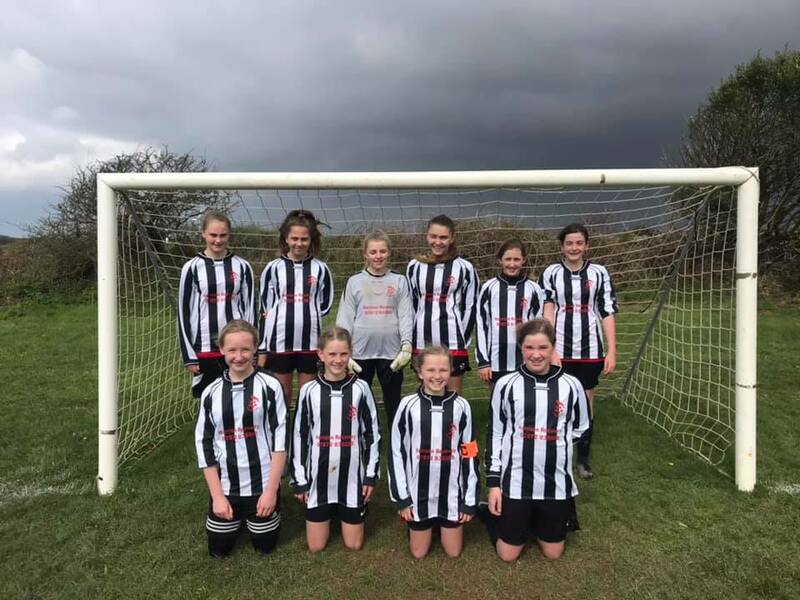 Good luck to our under 13's Silvers in their CCFA under 13's County Cup Semi Final at Enys Parc on Sunday 11am ko v Callington. 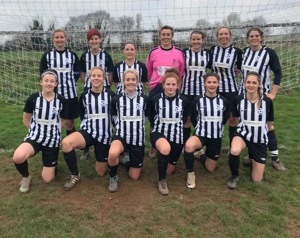 St Agnes AFC Ladies SWWFL (West) were in County Cup action today away -v- Callington Ladies who are sitting some 18 places above them at the top of the SWWFL (Premier) League. 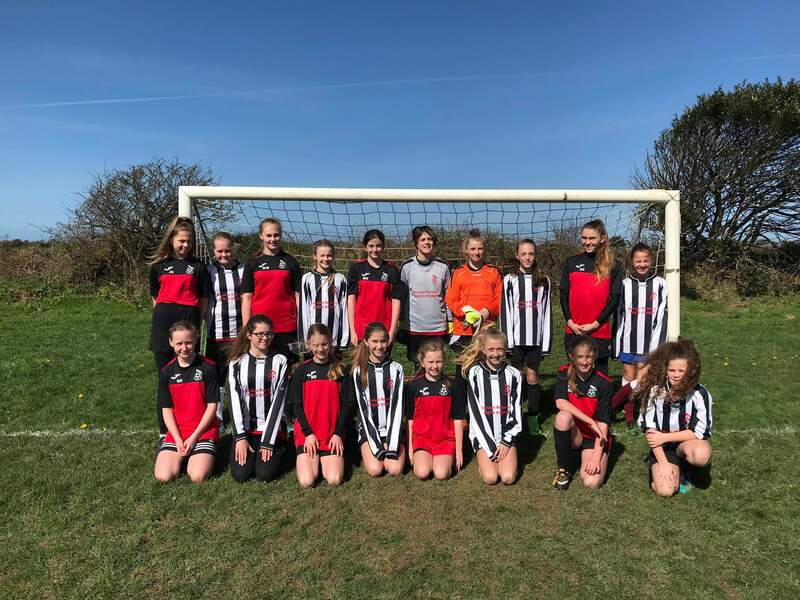 A determined battling performance from the St Agnes Ladies saw them bow out of the cup with a very creditable 4-0 result. 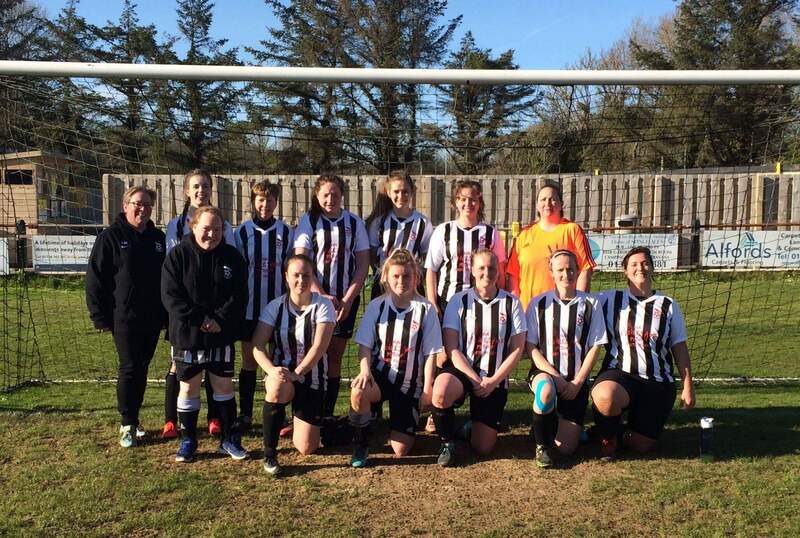 Callington Ladies have put more than 4 past six teams in the league above already this season demonstrating what a good run they are having and what a great effort the St Agnes AFC Ladies put in with some key players missing from the squad. 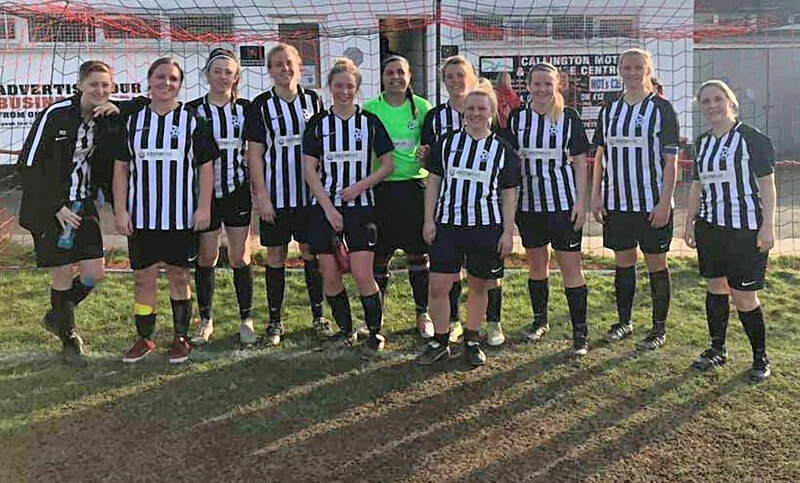 The ladies are back at training on Wednesday with both teams in league action next Sunday 3rd March the 1sts away at Weston-Super-Mare and the Reserves at home v Wadebridge. Well done ladies, we are all mega proud of you! 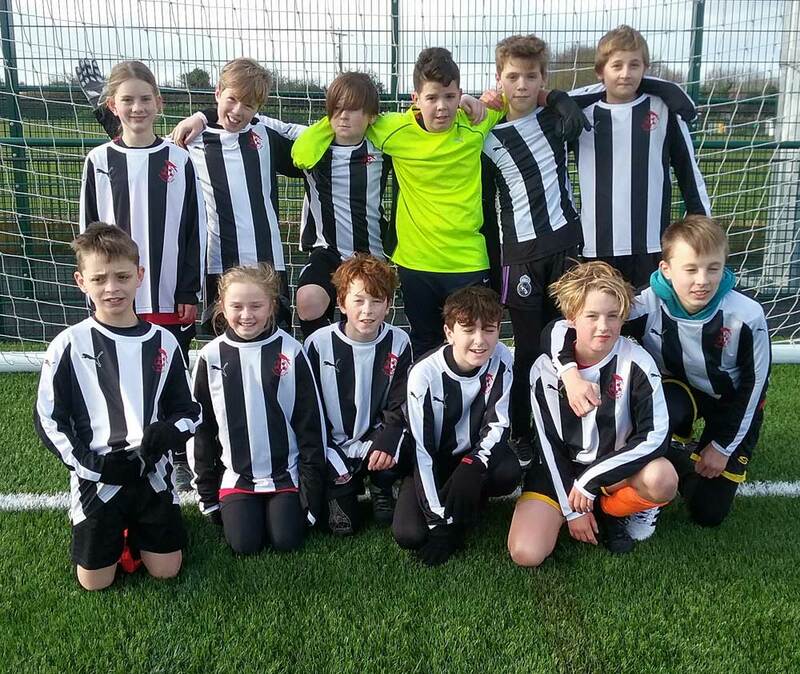 Such a great event and so proud to have players from St Agnes AFC entered into all four parts of the Cornwall Competition! 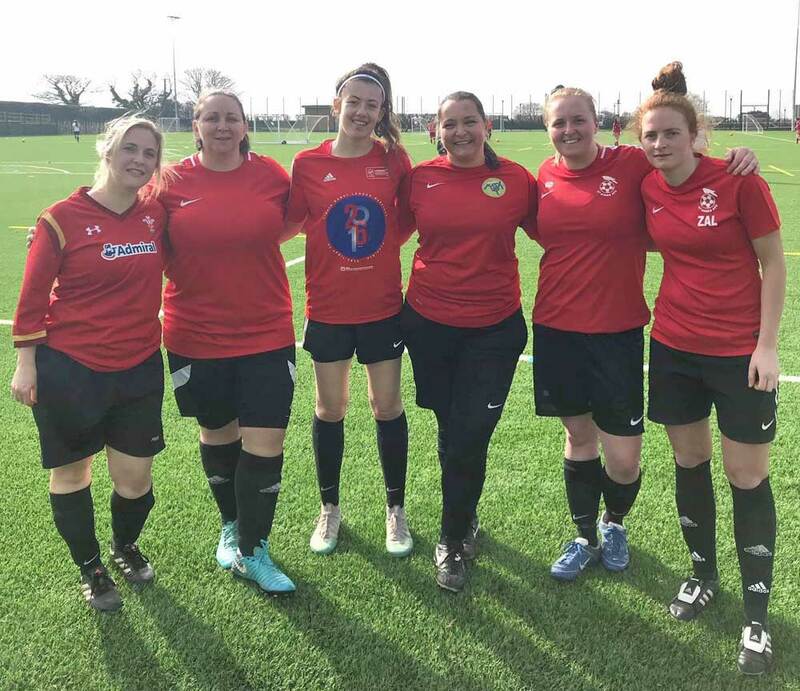 Saturday 23rd saw members of St Agnes AFC Ladies (and friends) enter two teams into the event with the 'Has Beenz' team coming 3rd and the 'Chicken Tikka Mo Salah' team 5th. A great morning had by all! 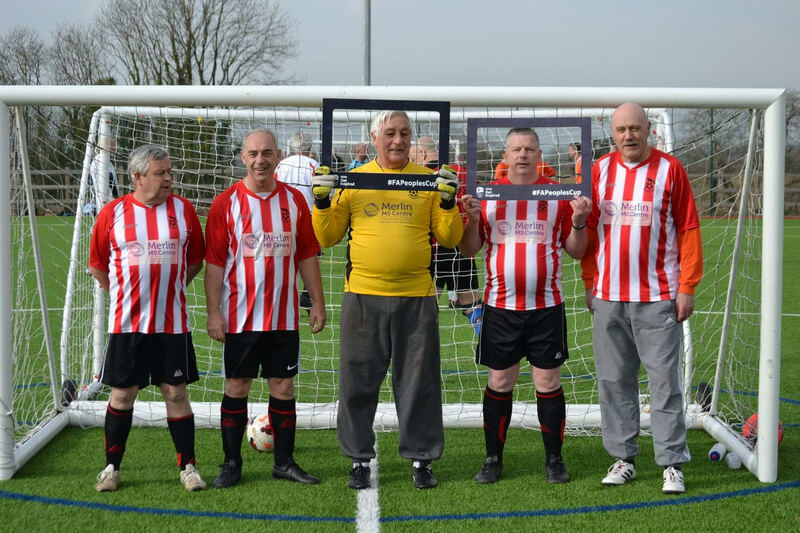 The afternoon saw our Walking Football Team playing some awesome football and finishing 5th overall. 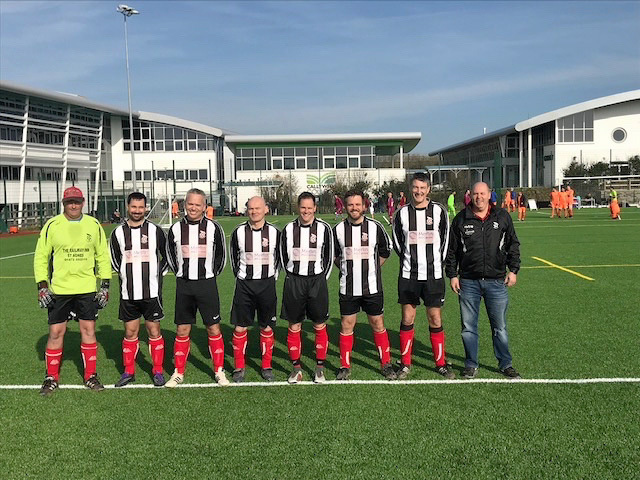 What a great competition today for the St Agnes AFC Bolster Veterans! Well led by superstar long standing manager Steve James whose team went all the way to the final and into penalties losing out at sudden death! So proud of their performance today well done boys! 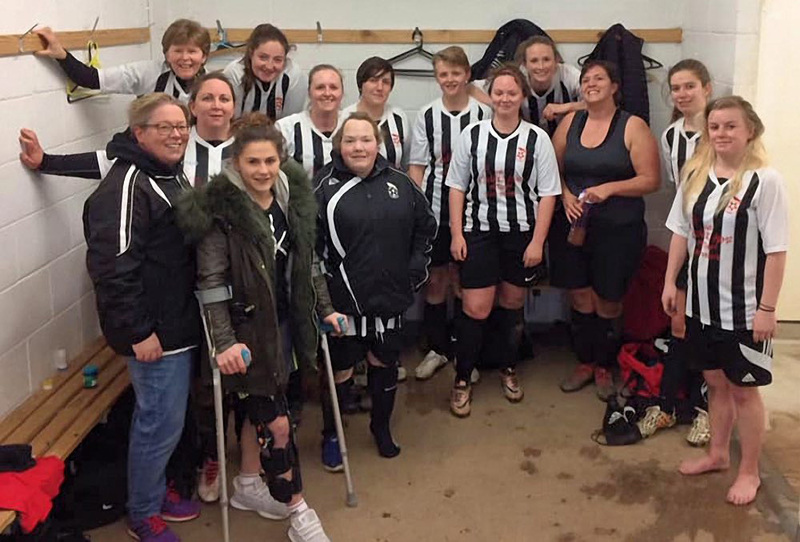 A massive shout out to St Agnes AFC Ladies this week who despite abstractions through injuries, illness, etc still fielded two teams with players stepping up and stepping in to make sure we achieved our season's aim. 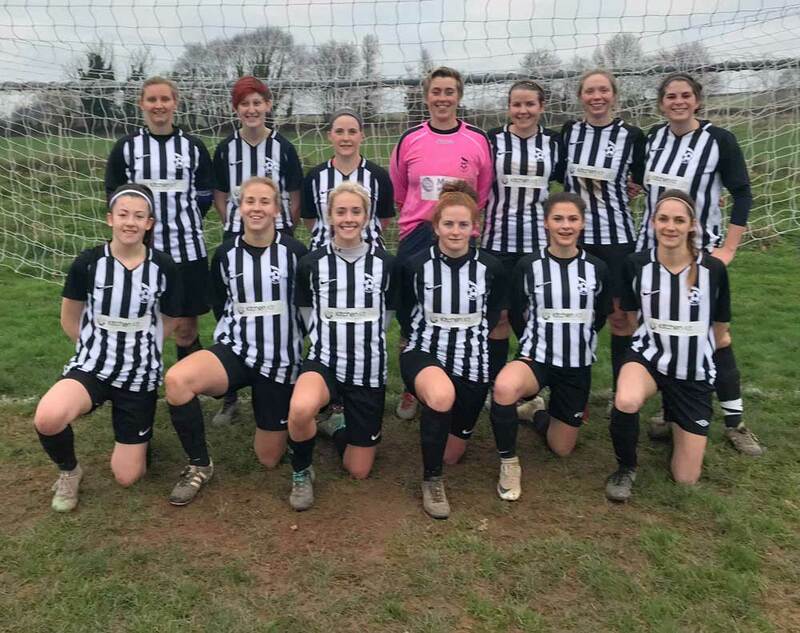 The 1st team travelled away to Exeter & Tedburn securing a 1-6 win and another three important points in their first season at SWWFL (West) and the Reserves hosted Porthleven in an end to end match also coming away with three points and a 4-3 win. This week St Agnes AFC Ladies will be training as usual on Wednesday 7-8pm at Truro College astro players new and existing most welcome. This weekend we have a tough County Cup draw away -v- high flying top of the SWWFL (Premier) League Callington for the 1st's and the Reserves host St Breward at home. 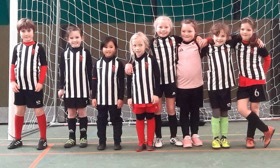 A massive well done to our under 7's on a most entertaining fixture today at home v Culdrose and to our Dynamo Girls for the fabulous half-term turn out at training this morning. Thank you to all coaches and parents for all your support! 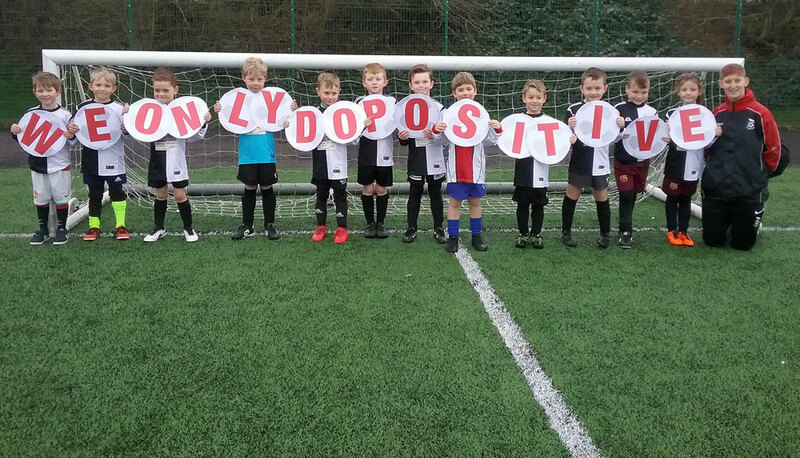 The u7's were really enthusiastic to support the FA's 'We only do positive' Respect Campaign initiative. Positive coaches, positive environment, positive sessions and a positive club help create positive players and keep more involved in the beautiful game! 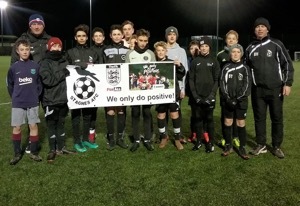 St Agnes AFC Dis-ability Squad players and coaches also got behind the FA's Respect Campaign 'We only do positive' initiative at their training session today. 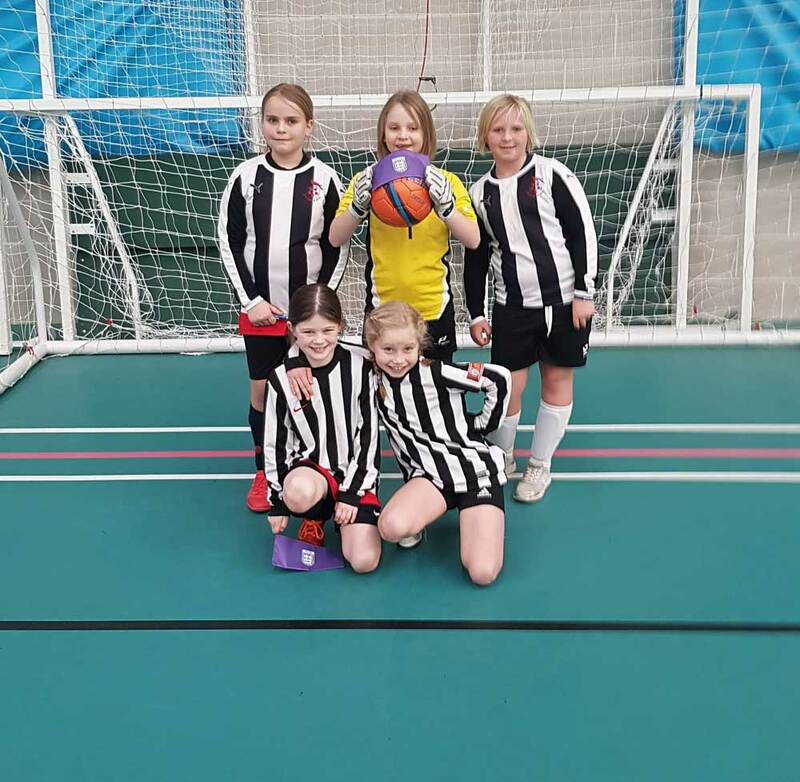 As always massively proud of the St Agnes AFC Dynamos Girls this week at CGFL Futsal, it was the Under 9's and 15's turn this week. Well done to u9's on some spirited football and the u15's on reaching their final. 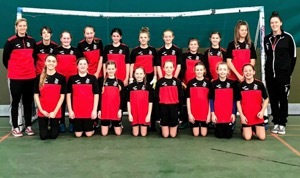 Awesome girls and thank you to everyone working so hard to promote and develop the female game in Cornwall especially our fabulous club volunteers and coaches! 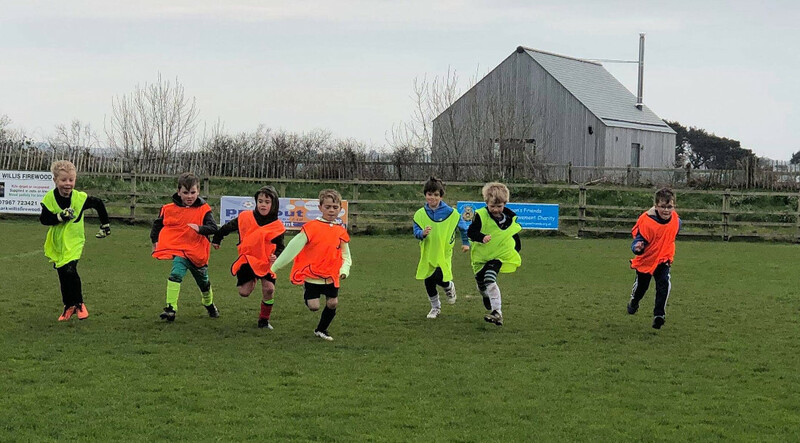 After a few weeks break and rebuilding St Agnes AFC under 7's were back on the pitch today with an excited team travelling to Ludgvan. They played some great football and we are all looking forward to watching them progress. Well done all of you especially parents, coaches and volunteers who work so hard to develop, support and create youth football. 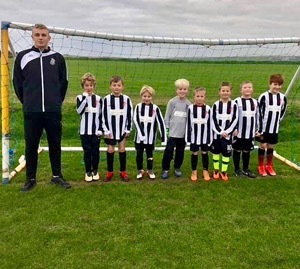 St Agnes AFC under 13's coach Martyn Kimmins was pleased to see his squad trying to put training skills into todays fixture. 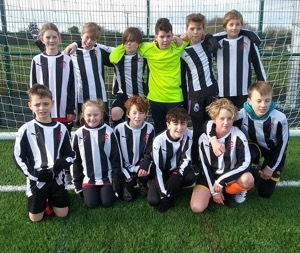 Well done u13's on a good performance away today against a determined Hayle side taking home all 3 points. We are all super proud of this rebuilding team who are showing some great team spirit and thank you to all the parents and volunteers supporting! St Agnes AFC Under 14's and their coaches took time during their weekly training session to support the FA's Respect Campaign initiative 'We only do positive'. 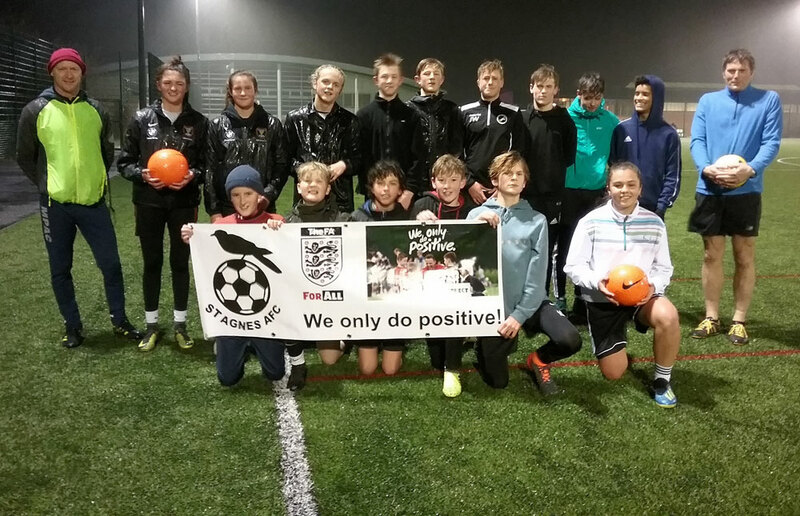 A very wet and windy training night on the astro did not stop members of St Agnes AFC under 15's and 16's and their coaches supporting the FA's Respect Campaign 'We only do positive' initiative. 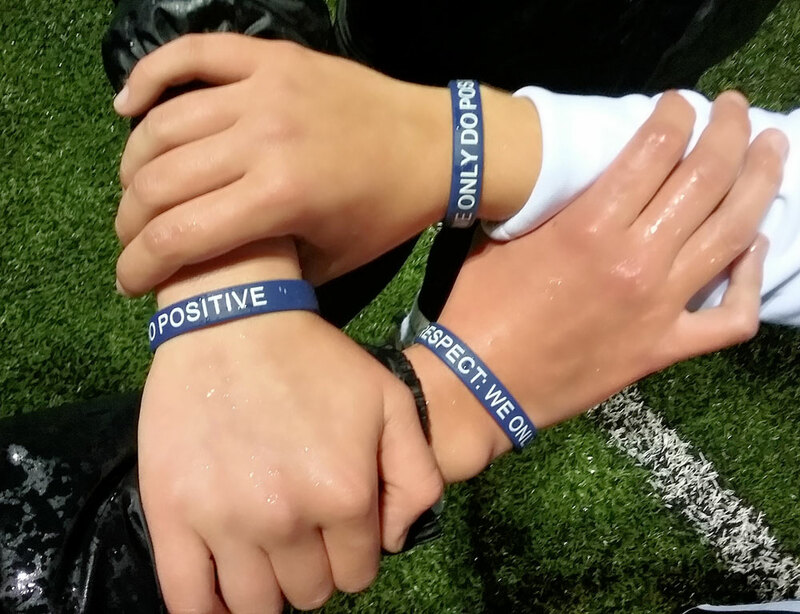 The aim of 'We only do positive' is to promote respect and good behaviour by educating coaches, parents and players that positive behaviour shown towards everyone, can in turn, create a positive environment for our young players to enjoy and play football. 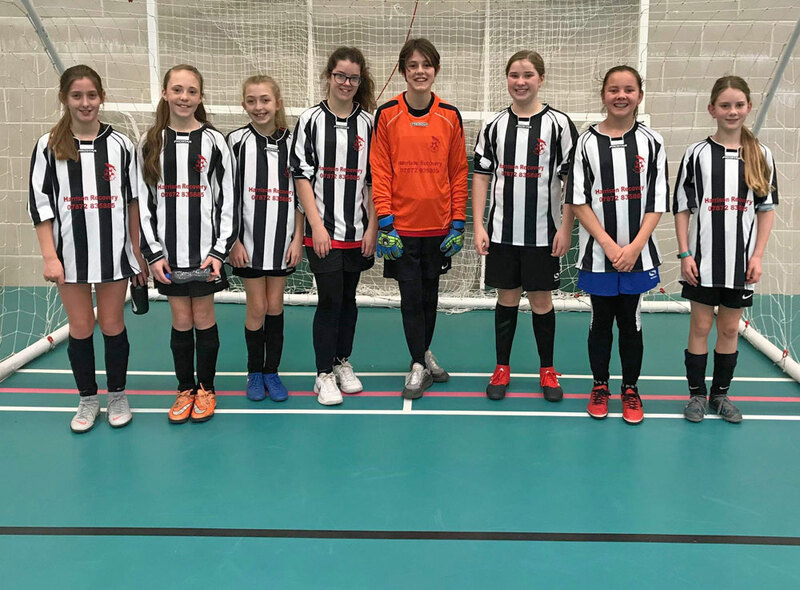 St Agnes AFC Dynamos girls made their club so very proud with a fabulous performance at County Futsal today at u10's, 12's, 14's and 16's levels! 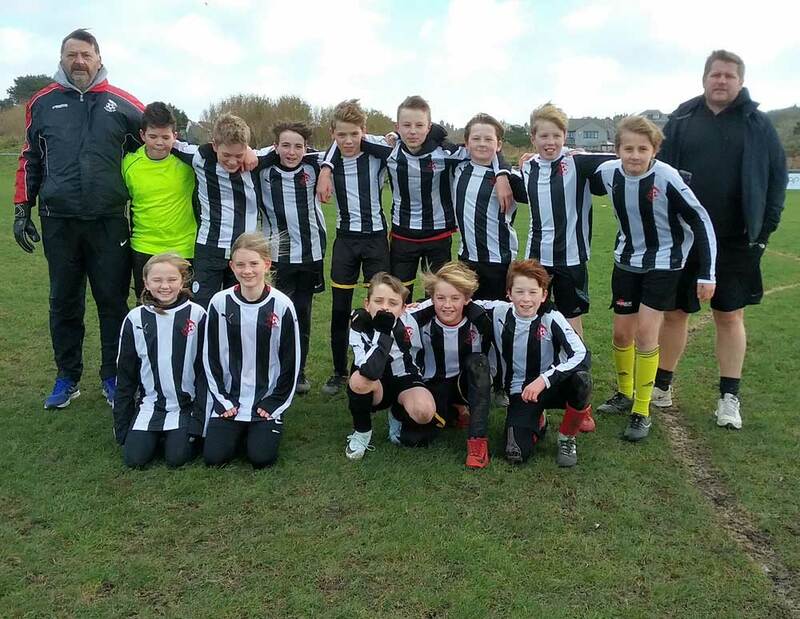 With the u12's reaching their final and all three other teams winning most of their fixtures it was a really positive day. We wish the winners from each group good luck in the Regional rounds. Well done and thank you to all our coaches, volunteers and parents you are all awesome! 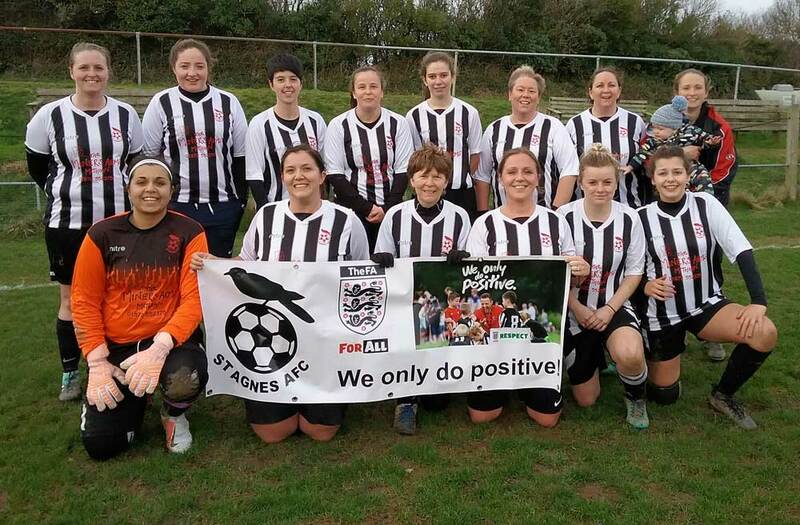 St Agnes AFC Ladies Reserves were proud to support the FA's Respect Campaign 'We only do positive' initiative and are photographed following their CWFL League 1-0 win at home -v- St Teath: Lennon Lewis on target with the deciding goal. 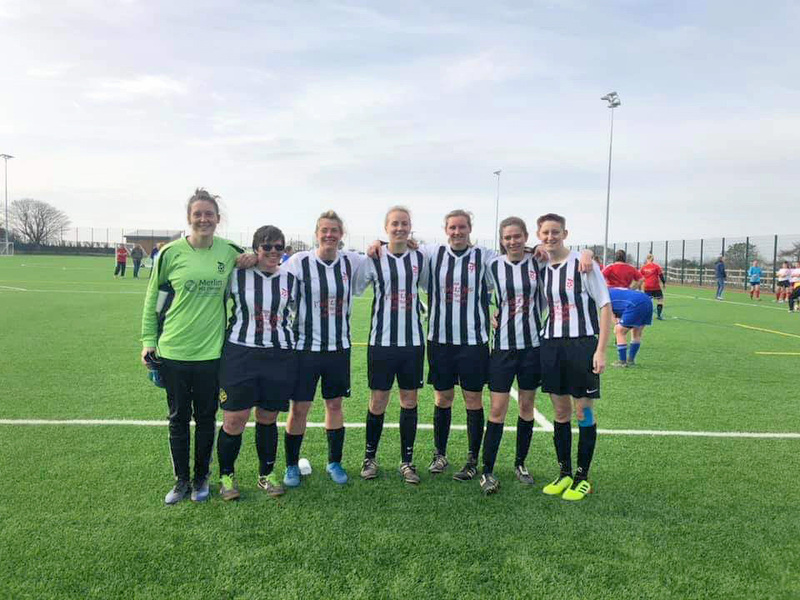 Fielding two teams again St Agnes AFC Ladies 1st team travelled away to Bideford with a squad containing two reserve players stepping up and each making positive SWWFL debuts, the scoreline 2-0 to the home side. 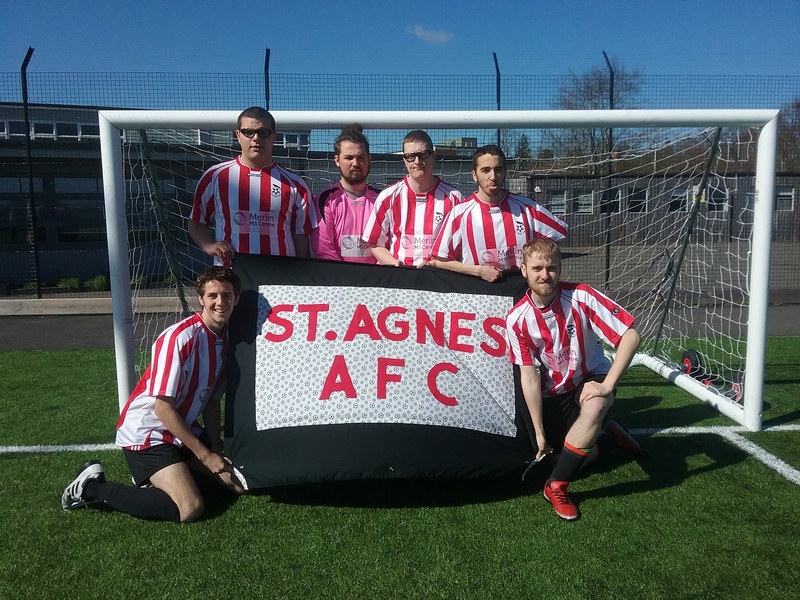 St Agnes AFC Ladies are back to training on Wednesday 7-8pm at Truro College astro-pitch. Players new and existing very welcome to come and join in! 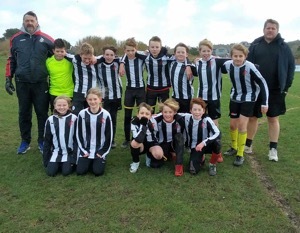 Well done to St Agnes AFC under 13's on a very creditable 6-2 result away -v- a strong, organised 'top of the league' St Just. 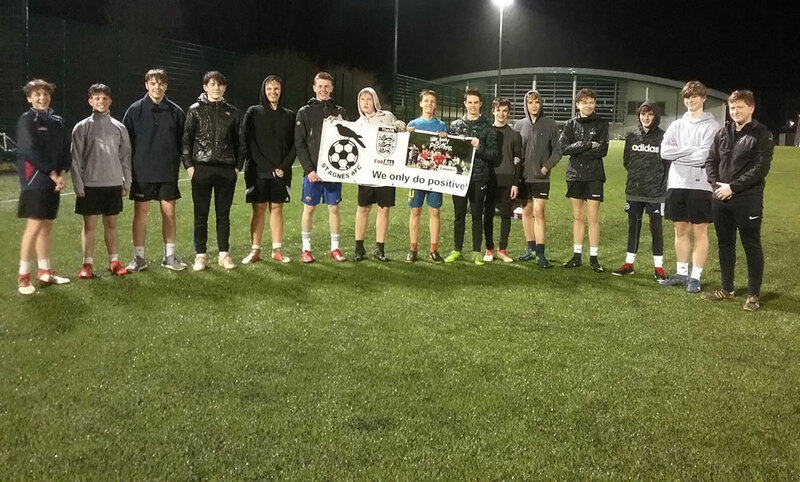 With our 13's rebuilding this season and improving and developing each week at training, we are very proud of all the players on their effort and commitment. Thank you to all the parents, volunteers and helpers who support this squad, it is massively appreciated. 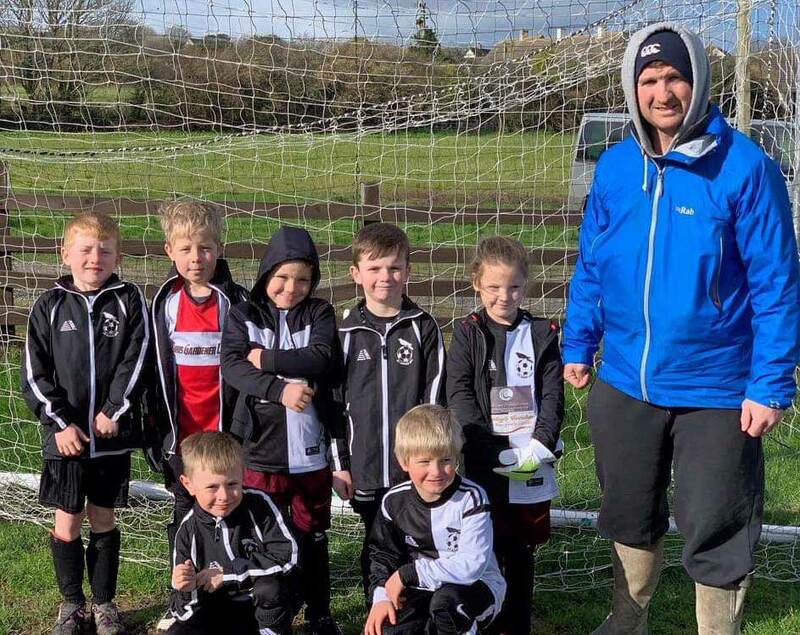 The team would love some wind/waterproof jackets for those cold trips away down St Just and similar anyone interested in supporting youth sport in our community please do get in touch by emailing bolsterpaper@gmail.com. Thank you! 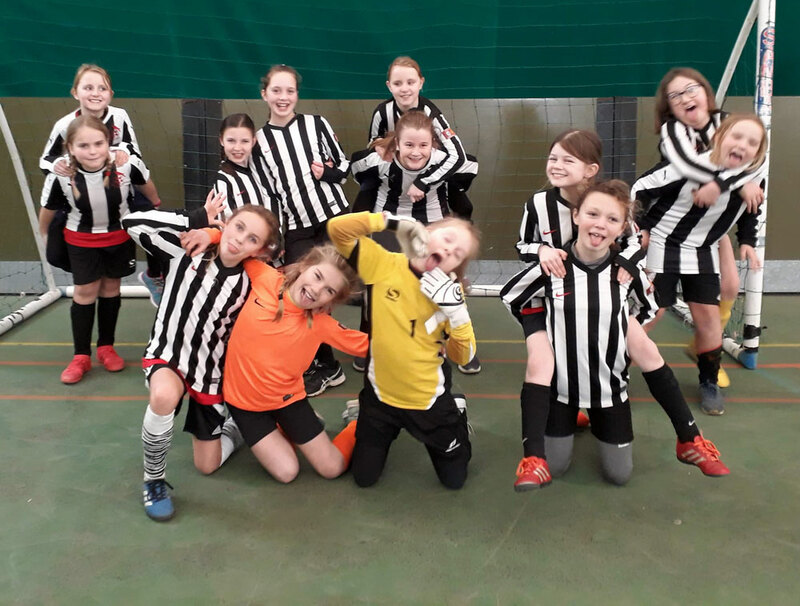 St Agnes AFC Dynamos Girls under 11's clearly had a fun time at CGFL Futsal. With their technique improving game by game the results improved too. What a fabulous group of enthusiastic players! 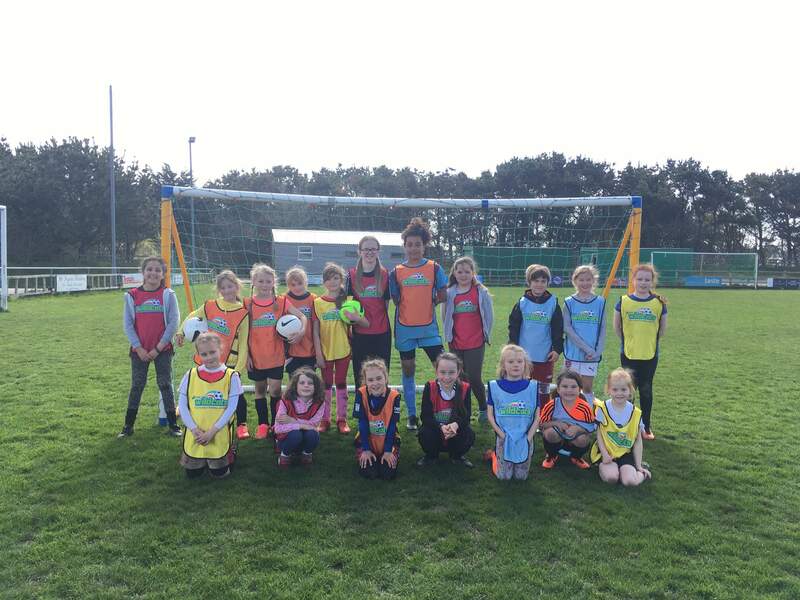 A massive thank you to the parents and volunteers helping develop female football both at St Agnes AFC and across Cornwall. 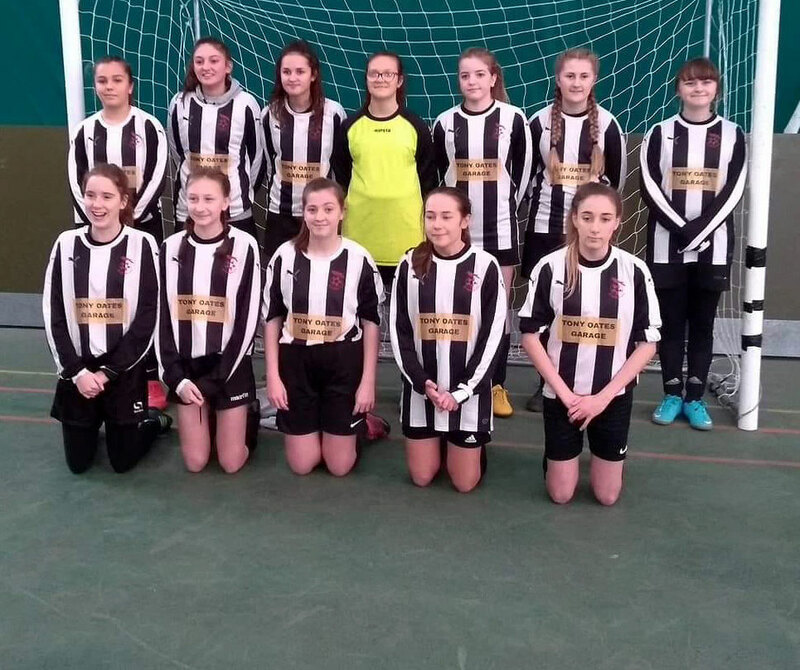 Majorly proud of the St Agnes AFC Dynamos Girls under 13's who entered 3 x teams into todays CGFL Futsal event. Fabulous group of girls and awesome coaches! 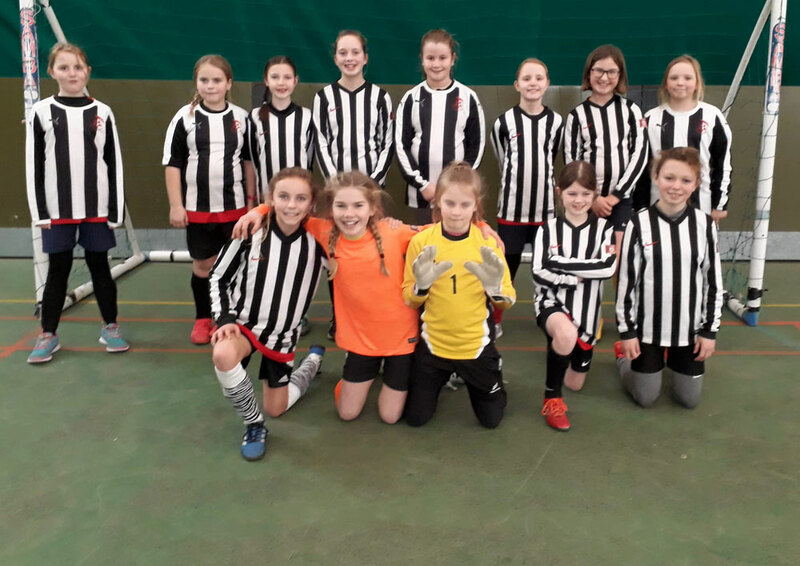 The 13's girls complete their CGFL Futsal in February and its the under 11's turn next weekend. 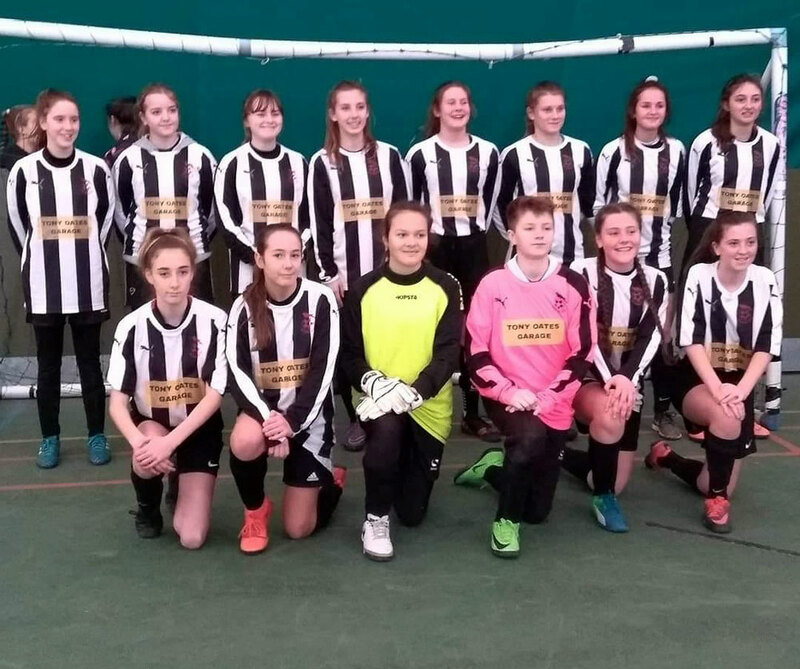 Well done girls, coaches and all the supporters and volunteers who are developing female football in Cornwall its such a positive environment for the players! 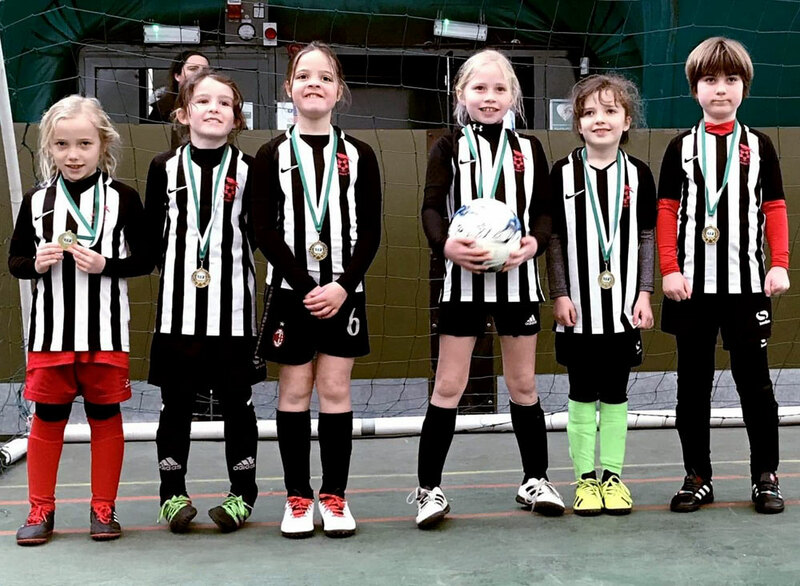 CGFL Futsal 2018/19 kicked off today with our under 9's and 15's Girls taking part. 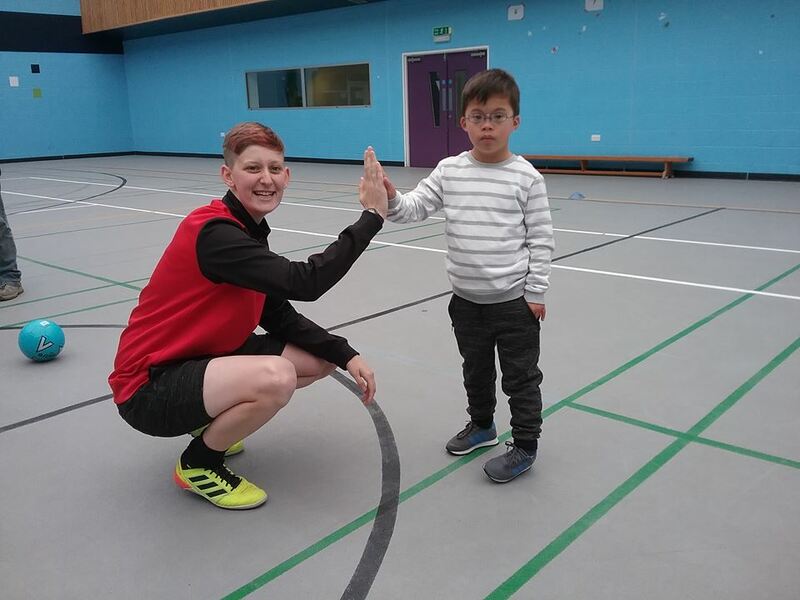 Fabulous fast fun Futsal! 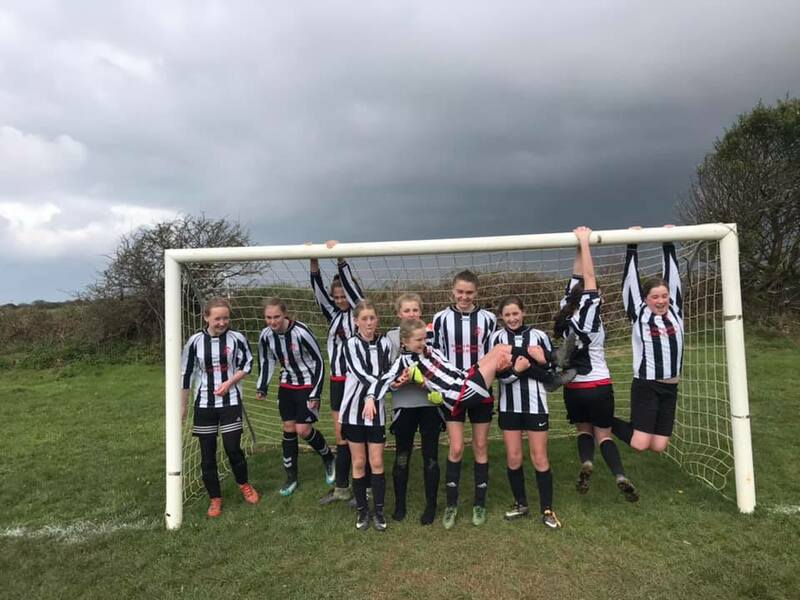 Well done to all who played and with the 11's and 13's playing in future weeks its a busy time for girls football in Cornwall. 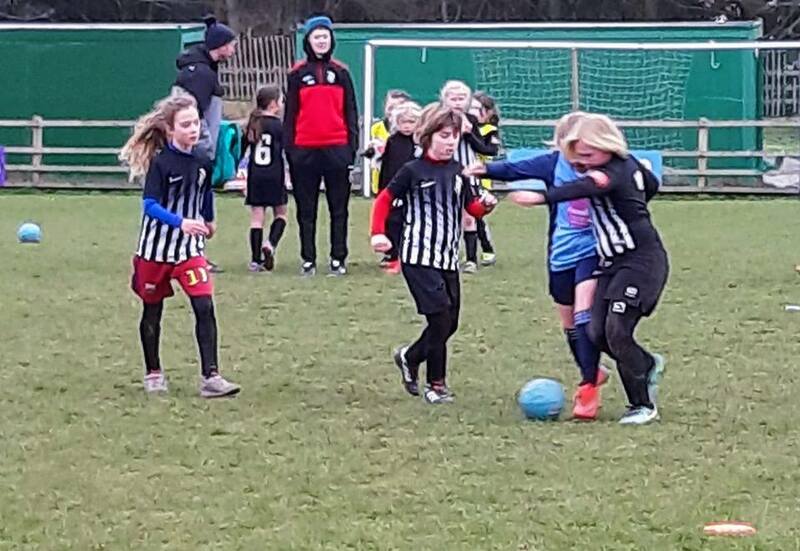 St Agnes AFC Dynamos Girls restart Saturday training next weekend 12th January 9-10am (£2) all girls welcome to join in with our Wildcats back in a couple of weeks too! 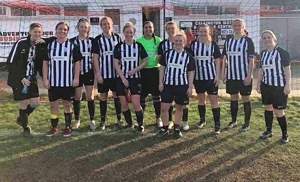 An extremely positive start to 2019 with all three points taken on the road away to Feniton Ladies FC: a 2-1 victory with Debbie Duncan and Lexi-Lou Riley on target. This moves us up to 8th with games in hand on the sides above. Player of the Match (sponsored by The Rocketmen Cornwall) went to Amy Brooks . The results this season have not always reflected the ability of the side so it's a great way to start this half of the season after a much needed festive break and recharge. Training recommences this Wednesday 9th January at Truro College at 7pm. New players always welcome. Both the 1st team and reserves are in action next weekend. 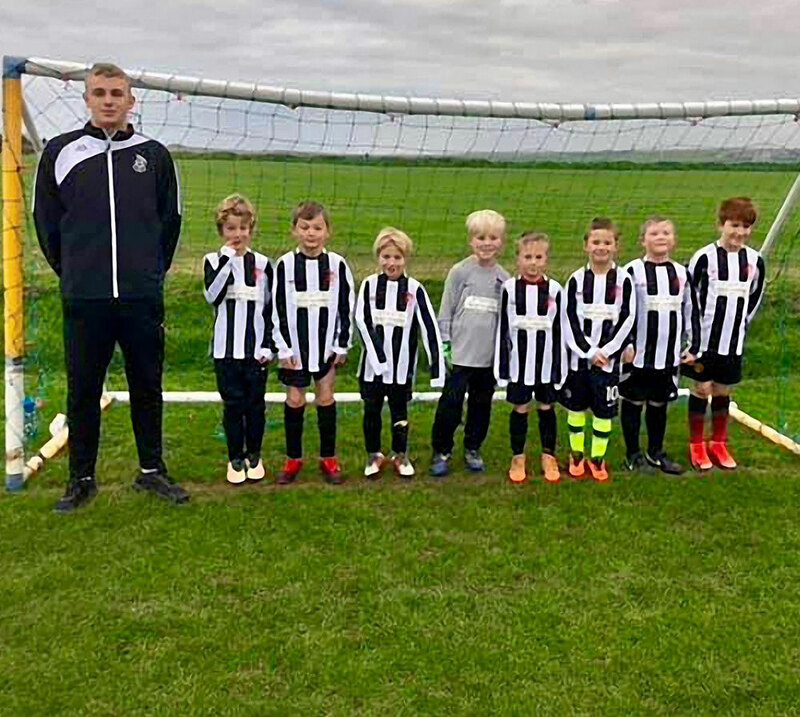 St Agnes AFC Under 8's looked super smart today in their new shirts and jackets generously sponsored by Aaron Loveridge Carpentry & Construction. Thank you Aaron and Vicky Loveridge English!